Moose are really quite remarkable yet hideous beasts. Amy may have spent all summer hurling insults at those “pee-brained ungulates!” this past summer, but deep down inside she respects those awkward half-turkey, half-horse creatures. But what really impresses the Vengeance Team about moose is the remarkable way they grow their antlers. Every year the male moose shed their antlers, and the next season begin to grow them back. 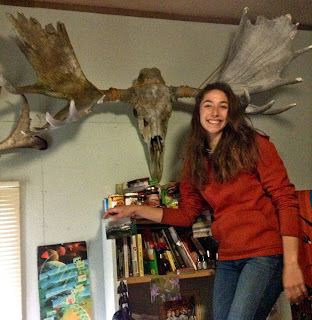 This may not sound all that impressive until you stand next to a moose skull and contemplate what it would be like to have those HUGE ANTLERS (80 lbs dudes) grow out of your skull every year and then fall off. When Amy was in Alaska she visited the Alaska Wildlife Conservation Center where she got to pet a young male reindeer with a beautiful fuzzy set of antlers. Amy fawned (heh) all over the adorable artiodactyl, marveling at its even toes (OMG) and the giant racks sprouting from his frontal bones, but she was warned not to touch the fresh antlers. “It’s extremely painful for them,” the volunteer explained, “just the slightest touch brings immense pain.” Thinking about that little guy’s tender stubs while gazing at Amy's 50 lb moose skull the next day made Amy realize how much of their lives those moose are in total misery. An average male moose has to eat over 9,000 calories a day to sustain weight let alone grow antlers. And at the peak growth season a moose antler can grow as fast as one inch a day. One whole inch of bone protruding from your skull in 24 hours. That. Would. Hurt. Why has evolution selected moose for the pain parade of antler growth every year? Well, the problem is that the velvet is necessary for supplying blood and nutrients to the developing antlers, to make them even bigger. No pain, no gain! But if they're going to use said antlers, they have to lose that sensitive velvet and toughen up their big bony protuberances. And in order to grow bigger antlers... they have to grow new ones entirely. It's a vicious cycle of ouchies-grow-time to get those hardened weapons, which they then have to drop in order to get an upgrade the next year. 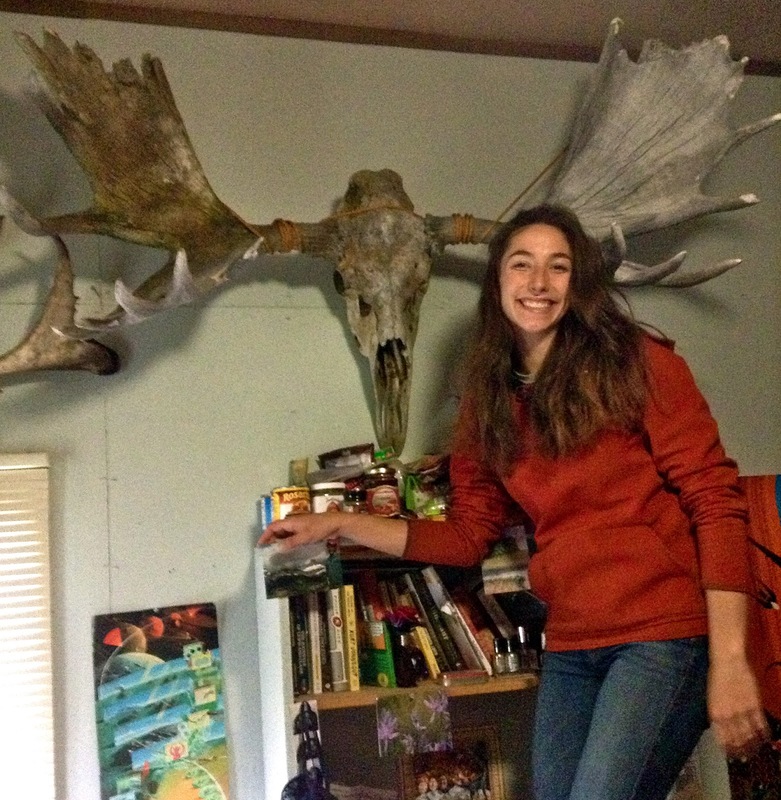 Meanwhile, under very unusual circumstances (usually hormonal imbalance), female moose grow antlers. So to recap: the effects of hormone surges and ebbs in humans are really, in comparison, not as bad as suddenly growing 80 lbs of antler every. damned. year. Davis, E. in The evolution of artiodactyls. Prothero, Donald R., and Scott E. Foss, eds. JHU Press, 2007. Geist, Valerius (1998) Deer of the World: Their Evolution, Behaviour, and Ecology Stackpole Books. 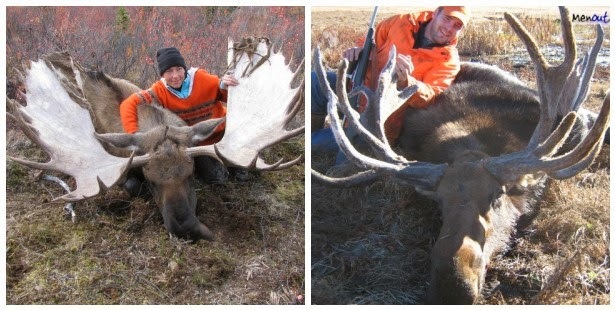 It just seems wrong to shoot an animal as friendly-looking as a moose.